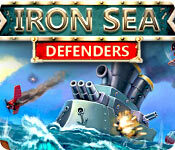 If you love hidden object games, then this game is for you. You have: ~ Voiceovers ~ Diary ~ Rules board ~ Score board. BE CAREFUL. Because it is on a timer, if you don't complete all the stages of a level before the time is up, then it starts back at the beginning - AS I SOON FOUND OUT! When the timer is getting low, then I start to panic because I don't want to go back to the beginning again, so I use all my hints cause some of the items are really hard to see. I hate using hints on any game, but you will really need to use them in this game. The timer cannot be turned off. There are a mixture of puzzles, find 20 items and jewel boards, so there is something for everyone. I enjoyed doing the puzzles and jewel boards. The graphics are okay, albeit a little dated, but then it is quite an old game. I thought this would be a good game in play in between all the other big grunty games I play, just like the earlier Jewel Quest Match 3 games, but this game is hard to play and you really have to concentrate. Overall, I will play this game again at some stage - definitely not when I'm tired. I'm another who finds this series difficult and not very interesting. Different strokes for different folks! Best of both worlds hidden odjects and match 3! I didn?t bother reading the story. I was more interested in finding objects. The graphics are wonderful and sometimes very challeging, especially if you want to have more hints (which you can achieve finding three coins - 3 coins= 1 hint). I liked the timed mini games (find 20 objects). You can play it over and over in case if you don?t find all objects. It is a nice way to kill time. I like most of the games in this series and I have played this one over several times. One of the very best! 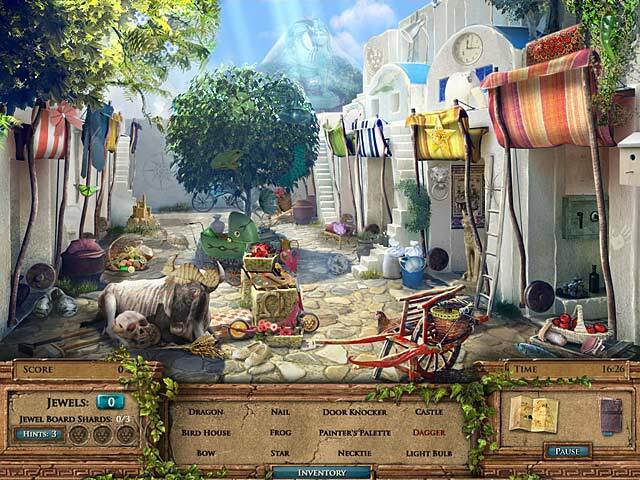 Jewel Quest Mysteries, The Seventh Gate: Garden Terrace Two. I sure wish someone would have told me to save EVERY SINGLE JEWEL before you get to this this point. The 'warming' jewels you need to melt the ice at the very bottom is impossible if you can't remove every single line until they reach the bottom, and you CANNOT SKIP this puzzle. Aggravating as heck! I bought it, and one day, I'll start over, but what a disappointment! I liked the game but i didn't like the timer. I got timed out and had to do 3 levels all over again. The only good side to that was i now knew where most of the hidden objects were in those levels so i was able to fly through them. The Best of the Jewel Quest Mystery series! I've played all the Jewel Quest Mystery games, and this one is my favorite. 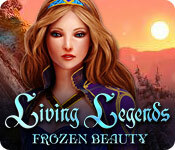 The graphics are beautiful, and the hidden object puzzles are fun. But the best part are the jewel boards. If you get the Premium Edition, when you beat the game, you gain access to a whole slew of new jewel boards which are challenging and addictive. Most of the time, I play the game just to play these Premium jewel boards. It's hard enough to play a timed game that involves mostly hidden object scenes but it's also timed while you're playing the mini-games (pipe connection, Match3) and the clock runs continuous for ALL locations -- meaning that if you're given 42 minutes for 10 locations PLUS the mini-game. 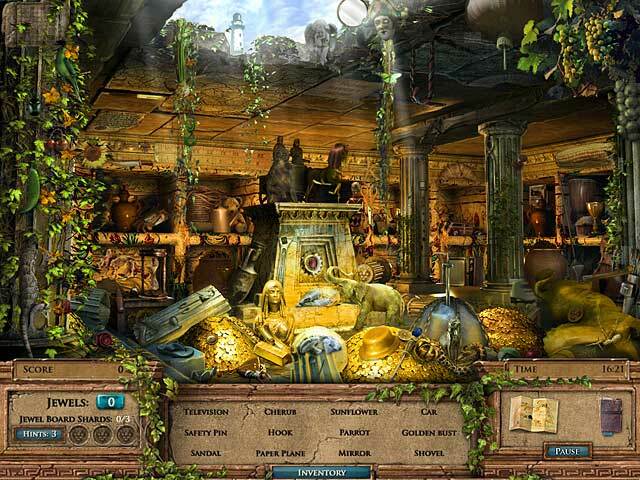 In addition to that, it's very difficult to find the hidden objects due to the lack of scene clarity and it's also very difficult to find the 3 coins in each scene to provide you with an additional hint. On top of that, whatever number of hints that you've got and add to -- THAT'S IT and there'll be no more until you finish the chapter which consists of several locations (10 I think, maybe more). One good thing about the mini-games, though, is that you're able to skip them; you've got to do the Match3 mini-game at least 2x before the game will ask if you want to quit. Although I did manage to complete the game, it was tense the whole time and therefore, not enjoyable. This is basically a HO game with many levels, and at each level there are a couple of other puzzles, including a jewel board puzzle. There is no untimed option however, which creates a ton of pressure as you get farther along in the game. Each level gets longer and harder. This game is complex enough to be interesting. 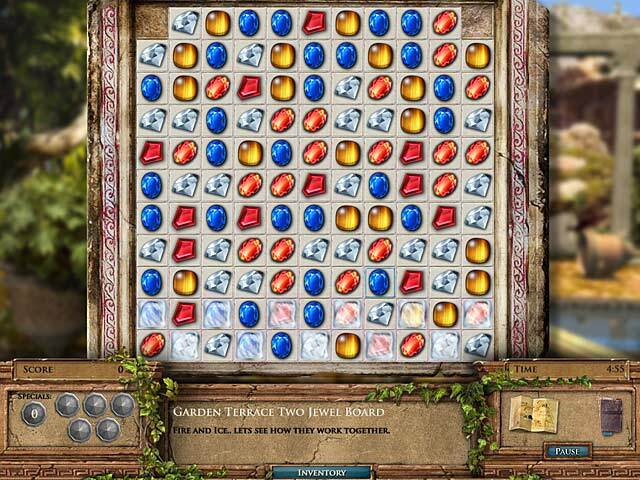 You have to find the hidden objects, but you're also looking for hidden jewels and coins in each scene. The coins will buy you extra hints, while the jewels will buy you upgrades to use while you're trying to finish the jewel board at the end of each level. I had to do each level twice because I ran out of time every single time. The second effort was easier because some of the HO's were the same and I knew where they were. You only have a few hints, and it's easy to run out of them. If you get to the jewel board and run out of time, you only have to start that part over again, not the whole level. After trying some of the harder jewel boards 4 or 5 times, the game finally offers you a skip button for that part. I think games like this should offer an untimed option. That would make a world of difference and this game would be enjoyable. If you don't mind playing under lots of pressure, this would be a good game. Because I definitely don't enjoy playing that way, I can't recommend the game.